Make your dog's collar pop with the Enamel Circle Skull D-Ring Pet Collar Charm by foufou Dog in Black! Personalize your pooch's collar with a classic and beautiful charm made from Czech crystals and enamel color. 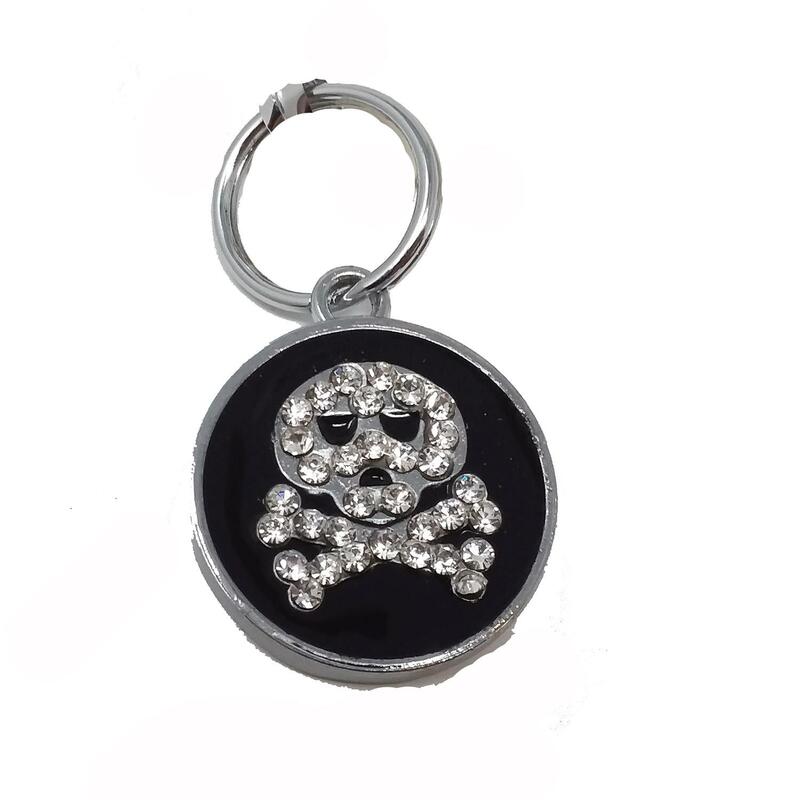 This D-Ring Pet Collar Charm is lead-free and rhodium plated. The lobster clasp fits most collar D-Rings. Great gift for dogs or cats! I m extremely satisfied with their products. Exchanges or returns for any reason is acceptable also.